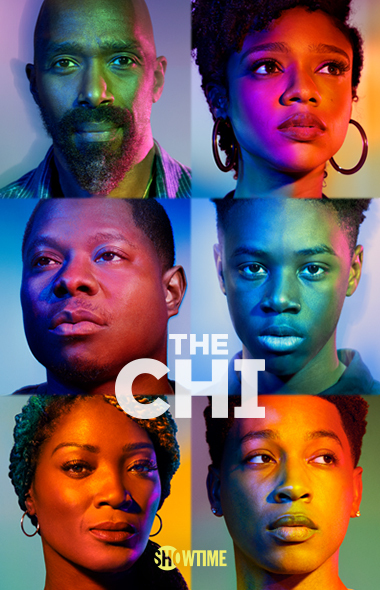 A new season of the critically acclaimed series THE CHI returns on SHOWTIME®. The people who call the South Side home may not be rich in dollars, but they make up for it in heart and soul. As they strive for a better tomorrow, friends and neighbors are brought together in unexpected ways. Life here is all about community, but growing up is tricky when tomorrow isn’t a guarantee. As Ronnie, Brandon, Emmett and Kevin struggle with manhood, they’ll face tough choices where opportunities don’t come along often and nothing is predictable. Don’t miss THE CHI, created and executive produced by Emmy® winner Lena Waithe and Academy Award® winner Common. 3. Scroll to select "SHOWTIME®"
The Chi © Twentieth Century Fox Film Corporation. All Rights Reserved. Emmy is a registered trademark of the Academy of Television Arts and Sciences. Academy Award is a registered trademark and service mark of the Academy of Motion Picture Arts and Sciences. SHOWTIME and related marks are trademarks of Showtime Networks Inc., a CBS Company. You must be a subscriber of SHOWTIME to receive SHOWTIME ON DEMAND.